Wolverhampton Wanderers have knocked Liverpool out of the FA Cup; defeating the Reds 2-1 at Molineux, with the game being decided by a wonder strike from the right boot of Ruben Neves. In a first half plagued with individual errors, it was rather fitting that it was a mistake which lead to the opening goal, and it was Wolves who were the benefactors from the lapse of quality. James Milner uncharacteristically miscontrolled a pass in the centre of the pitch, which saw the ball roll between his legs to an onrushing Diogo Jota, who clipped a through ball into striker Raul Jimenez. The Mexican then dribbled the ball completely unopposed into the 18 yard box, before keeping his composure and slotting powerfully beyond Simon Mignolet. The only other event of any note from an incredibly drab first half came when Dejan Lovren sat himself on the Molineux turf suffering from a muscle injury after five minutes. The Croatian was replaced by 16-year-old Dutch centre back Ki-Jana Hoever, bringing the average age of Liverpool's eleven down even further. The Reds managed to peg the home side back after five minutes of the second half thanks to a moment of individual brilliance from Belgian forward Divock Origi. The 23-year-old worked the ball onto his left foot on the edge of the Wolverhampton box, before firing a powerful drive past the helpless John Ruddy. Parity between the sides barely lasted five minutes though, as Wolves' Portuguese midfielder Ruben Neves scored his third goal of the season; hitting a stunning shot from about 25 yards out into the bottom corner of the Liverpool net, sparking chants adorning his name from the home crowd. A curling Xheridan Shaqiri free kick was the closest Liverpool came to another equaliser, as the Swiss' free kick was acrobatically tipped onto the post by John Ruddy. It was Neves' stunning effort however which secured ​Wolves' spot in the fourth round of the FA Cup, and unceremoniously dumped Liverpool out of the competition. You could not accuse Nuno Espirito Santo of fielding an under strength lineup in the third round tie. The performance was far from a vintage one from his side, although another victory against a top Premier League club and a spot in the fourth round will help him look past that. Neves' long range strike was worthy of winning any game. It was a moment of class which the game needed. It is clear to see why the former Porto man is so well-loved by the fans at Molineux. Neves was central to many of Wolves' attacking moves, orchestrating the play from the centre of their midfield. The Portuguese midfielder was composed and assured, therefore making this incredibly harsh. However with Neves' goal and Dendoncker's defensive tenacity, Moutinho went slightly under the radar in the match. Liverpool's first half performance will have made for tough viewing for Jurgen Klopp. The German's concoction of fringe and youth players looked heavily disjointed, with none of them particularly staking a claim for a starting spot. Klopp's decision to rest so many key players will also come under scrutiny, as the Red's fans have not seen their club go past the fourth round in the last four seasons. The Dutchman was thrust into the spotlight early on as a replacement for the injury-stricken Dejan Lovren. This did not seem to phase him at all however, as the 16-year-old put in a composed and assured performance which will leave fans of the Merseyside club hoping he will develop into a first team regular in the years to come. Completely Anonymous. Outshone by the goal and work-rate of his strike partner Divock Origi. It was a performance which will not do much in persuading Liverpool to extend the Englishman's contract, which expires in the summer. 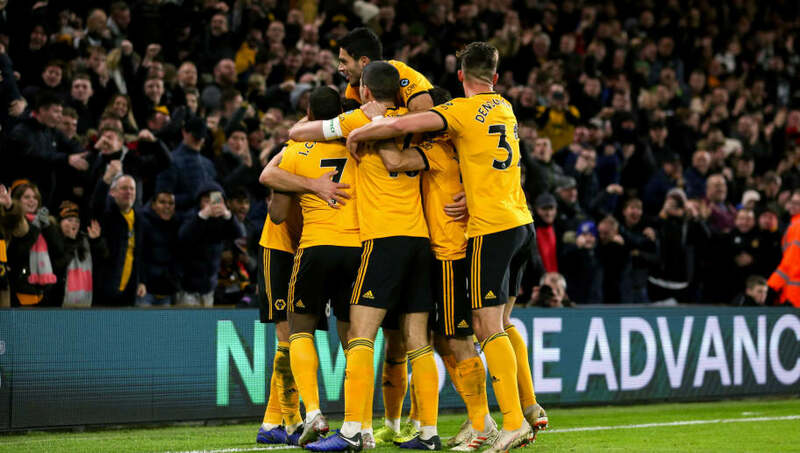 Wolves travel to title-chasing Manchester City in the Premier League next Monday, hoping to take some momentum from this successful cup outing. Liverpool face their third away game in a row on Saturday as they will look for a return to winning ways. The Reds will travel down south to face Chris Hughton's Brighton at the Amex Stadium in the Premier League.